If you just begin to play the WoW, we will help you do the quests to make sure you can have a great start in this world. From now on we will go to Westfall first to help you do the quests and fight monsters. 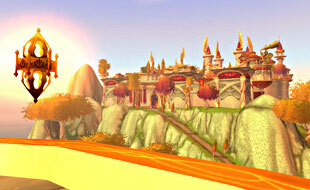 Westfall is a remote place and connects with the Stormwind Kingdom. We may go to the Duskwood, where there are lots of quests. We will accept these quests and fight monsters for you. We do the quests and fight monsters for you at Stranglethorn Vale which is the largest area in Azeroth and also one of the busiest areas. It is a very dangerous place for Alliance members. 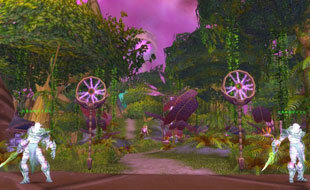 We stop doing the quests at Stranglethorn Vale and go to Dustwallow Marsh to complete the quests and fight monsters. Then we come back to Stranglethorn Vale Booty Bay to complete the later quests and fight more monsters. Now we can go to Gadgetzan to do the quests and fight monsters. Most players come to Gadgetzan to do quests because it's the nearest flight path to the ZUL instance. Next we will go to Kalaran Windblade to do the quests. There are just a few quests here, so we can complete them as soon as possible. We will do the prior period quests at the Fel Woods and fight monsters. Then we go to the Crater to do the quests. Most monsters there are Beasts, so it is easy to level up and fight. Now we come back to Fel Woods to complete the later quests. Then we go to the Winterspring to do quests and help you raise the reputation and get achievement reputation. We will go to the Western Plaguelands and Eastern Plaguelands to do the quests. If your profession skill is mining, we will help you get lots of valued minerals. At the Hellfire Peninsula and Morass, we can help you level up a lot and get lots of experience when we do quests and fight monsters. At this level, we can enter Shattrath City, where we may do city quests around the Terokkar Forest. We go to Nagrand to do quests and fight monsters. The Nagrand is the most beautiful area of the Outland. There are no instances there, but there are lots of monsters, quests instead. Do quests and fight monsters at Borean Tundra. Most area is covered with snow and ice. It is so isolated and barren that no one likes to conquer it. We enter into Howling Fjord to do quests. The class of the monsters here is just like that of the Borean Tundra. The Dragonblight is a kind of very important map. We can do about 120 quests here, such as reputation, quests rewards and so on. After completing the quests at Dragonblight, we enter the Grizzly Hills to do quests and fight monsters. Now we can go to Zul'drak. There are about 110 quests in this area. We can get the reputation of Death Knight for you. This reputation is used for physical DPS head enchanting. Now we go to the Stormpeaks to do the quests and fight monsters. We will complete the quests and fight monsters at Icecrown Glacier. From then on we have done all the power leveling for you and you can own an account of level 80. We will go to Mount Hyjal or Vashj'ir.We will clear all the quests in the zone,then you are over than 82level,it would be cost around 4hours. Now we can go to Deepholm: Level 82-83 zone within the elemental plane of earth.After we clear the quests of Deepholm,you will up to 83 and a couple. Now we enter the Uldum:Level 83-84 zone in southern Kalimdor.we can at least level up to lv84. Then we go back to Stormwind City and doing the quests accecpt from the chieftain.after we done the quest line,we can go to The Twilight Highlands:Level 84-85 zone in Khaz Modan of the Eastern Kingdoms.we can up to 85lv in this zone. If you have just begun to play the WoW, we will help you do the quests to make sure you can have a great start in this world. Now you are no longer a fresh man. From now on we will go to Westfall first to help you do the quests and fight monsters. Westfall is a remote place and connects with the Stormwind Kingdom. We may go to the Duskwood, where there are lots of the same quests. We will accept these quests at the same time to save your time and fight monsters. We do the quests and fight monsters for you at Stranglethorn Vale which may be the largest area in Azeroth and also one of the busiest areas. It is a very dangerous place for any Alliance member. Then we come back to Stranglethorn Vale Booty Bay to complete the later quests and fight higher-level monsters. Now we can go to Gadgetzan to do the quests and fight monsters there. Most players come to Gadgetzan to do quests because it's the nearest flight path to the ZUL instance. Next we will go to Kalaran Windblade to do the quests and fight monsters there. There are just a few quests here, so we will complete them as soon as possible. We will do the prior period quests at the Fel Woods and fight monsters there. Now we come back to Fel Woods to complete the later quests. Then we go to the Winterspring to do quests, where we can help you raise the reputation and get achievement reputation. Your level is around 56 now, we will go to the Western Plaguelands and Eastern Plaguelands to do the quests. If your profession skill is mining, we will help you get lots of valued minerals. At the Hellfire Peninsula and Morass, we can help you level up more than 3 levels. We can also help you get lots of experience when we do quests and fight monsters. We go to Nagrand to do quests and fight monsters. 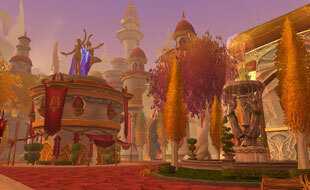 The Nagrand is the earliest aggregation of the Orcs and the most beautiful area of the Outland. There are no instances there, but there are lots of monsters, quests and PVP instead. Enter into Howling Fjord to do quests. The class of the monsters here is just like that of the Borean Tundra, and the amount of the quests are about 145. The Dragonblight is a very important map in the process of leveling up. We can do about 120 quests here, such as reputation, quests rewards and so on. After completing the quests at Dragonblight, we enter the Grizzly Hills to do quests and fight monsters. There may be 2 flight paths for the Alliance here. Now we can go to Zul'drak. This area is the zone of Trolls. There are about 110 quests in this area. We can get the reputation of Death Knight. This reputation is used for physical DPS head enchanting. You are close to the level 80. Now we go to the Stormpeaks to do the quests and fight monsters. We have already helped you get the Cold weather Flight. Now you are at level 79 and the final victory is in sight! We will complete the quests and fight monsters at Icecrown Glacier. From then on we have done all the power leveling for you and you can own an account of level 80. 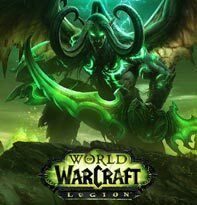 Now just begin to enjoy you wow game! Then we go back to Orgrimmar and doing the quests accecpt from the chieftain.after we done the quest line,we can go to The Twilight Highlands:Level 84-85 zone in Khaz Modan of the Eastern Kingdoms.we can up to 85lv in this zone.